If you choose not to harvest your timber, you are maintaining your future management options. You can always choose to sell timber at some point down the road when circumstances change, your objectives change, or you have more information to make a better informed decision. Your trees will only continue to grow. Even if you choose not to harvest timber, your forest will not stay the same. Your forest will continue to grow and develop. If your forest is not harvested long enough and left to natural disturbance, it will become late seral forest. Late seral, or late stage, forests have a species composition and structure that is different than forests of a younger age, for example, the presence of large, down logs. Late seral forests mimc old-growth forest characteristics, an important and lacking habitat in our current Massachusetts landscapes. 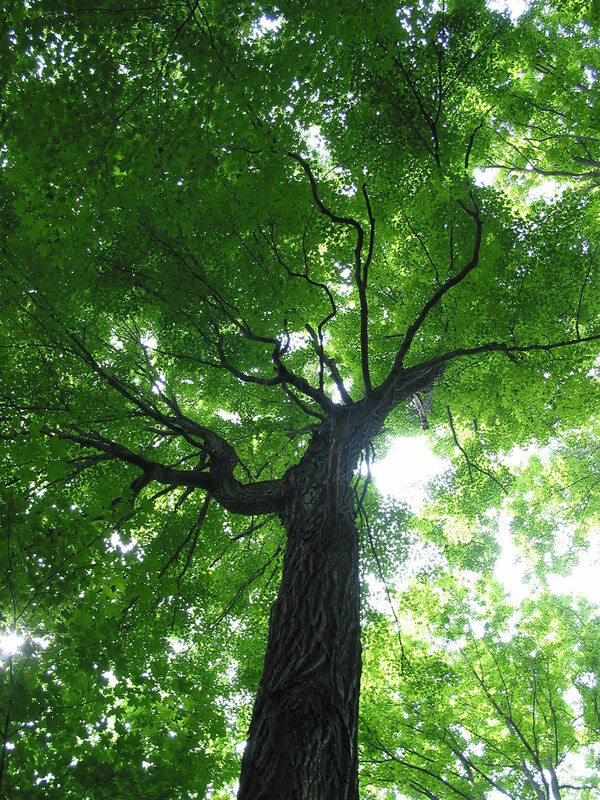 Learn more about restoring old-growth characteristics to your woods. The landscape your forest lies in is also constantly changing. Other landowners around you may harvest. A neighbor down the road may sell his land for development. Each day landowners around you make decisions which affect the landscape in which you live. Even if you do nothing, the context around your land is changing. With each change in the landscape, your property takes on a new role. There may be a small amount of financial risk associated with not harvesting. An insect, disease or weather event may damage your timber to a point that it is no longer merchantable. However, this is not very common. Contact your local service forester for more information potential about local insect and disease issues. Choosing not to harvest timber maintains your management options into the future. What is a fair price for your timber?